3-In-1 Electric Spiralizer With 3 Blades Just $17.99! Down From $80! PLUS FREE Shipping! You are here: Home / Instagram / 3-In-1 Electric Spiralizer With 3 Blades Just $17.99! Down From $80! PLUS FREE Shipping! Limited time only! 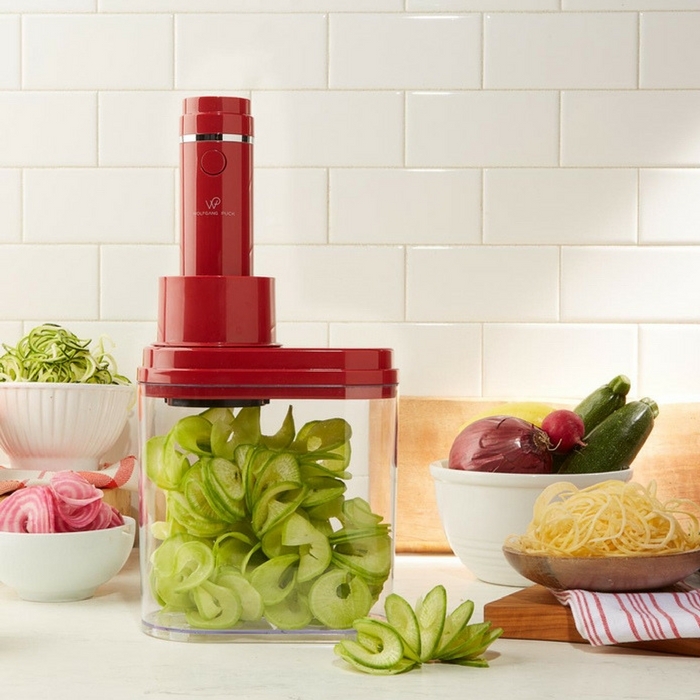 Lighten up your favorite meals with Wolfgang’s new spiralizer. Replace pasta with zucchini noodles, or create ribbons of colorful vegetables to top your fresh salads. With three different blades, you’ll find yourself using this night after night and loving the healthy meals you’ve created. Slice up something delicious for dinner tonight! Right now at Tanga, you can grab 3-in-1 Electric Spiralizer With 3 Blades for just $17.99 down from $79.99 PLUS FREE shipping!